And the Results of the Veterinary Technician Toothbrushing Poll ARE…. On November 2nd, 2014, I posted a poll on the PetED Facebook page and the Vet Techs United!! Facebook page asking veterinary technicians to vote on whether or not they are brushing their own pet’s teeth every day. I also promised to post the results so here they are! What the poll shows is that only approximately 16% of the veterinary technicians provide any consistent effort of brushing their pet’s teeth. Now, I did not post this poll to shame anyone. But, as mentioned before, the question was asked; how does education effect behavior. What those results mean is that few of you have walked the tooth brushing journey enough to know how to instruct your clients how to do it. I am not talking about what direction to brush,how long or what toothpaste is best. Most technicians have already been faking that answer for years. 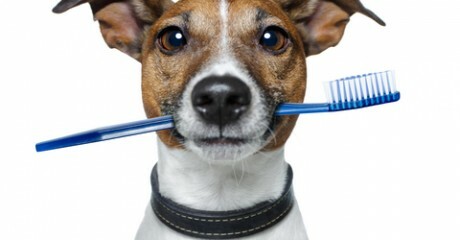 I would like to challenge you to choose at least one of your pets and make a commitment to see what you have to do, to get them to tolerate tooth brushing. 2. It is one of the greatest gifts you can give your pet. 3. It requires positive reinforcement. 4. It took me 3 months to train my Cranky Crayons (grumpy tri-color cat with a “Caution!! !” on her medical record) to participate. It took three months of daily positive reinforcement broken down into baby steps. There is a reason that our clients do not provide home care. It is because they depend on us to LEAD them and 84% of us do not even have a flashlight for those dark moments of uncertainty. I believe if we educate ourselves through personal experience, we may be able to effect client behavior which in turn will positively effect the oral health and comfort of your patients. Maybe with a personal effort, we can change the stats saying that 70-80% of all companion animals over the age of 3 have periodontal disease. Who wants to join me in an effort to reduce the effects of the most prevalent disease in veterinary medicine?